Enter the lair of a rogue magician and overcome his dark magic to prevail. A sinister magician, known simply as The Collector, has turned to dark magic. He has been expelled from the International Brotherhood of Magicians, but not before stealing three precious objects. Enter his cursed lair, retrieve the items and escape before you are trapped. 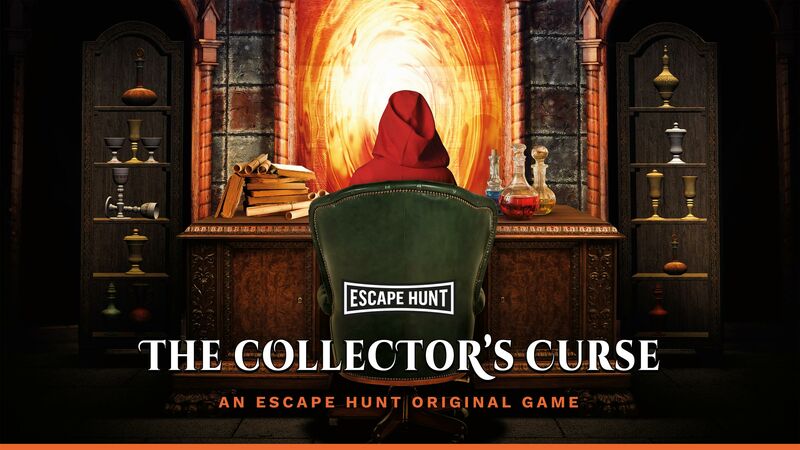 The Collector’s Curse is by far the best escape room we have played in the Escape Hunt franchise to date. It also definitely rates up there along with all the other high scoring magician themed rooms in Australia. It is beautiful, lavish, difficult, creative, had character and is lots of fun. Our family went to Escape Hunt for our 40th wedding anniversary and we wanted it to be a special experience. It certainly was. Trying to solve the Collectors Curse room was challenging and fun as the designers had managed to keep things varied. And the organisation and communication were excellent. The Adelaidean’s are already planning another visit.